If you are interested in starting a business in Malaysia, you are bound to have plenty of questions regarding the company incorporation procedures, licenses, permits, taxes and other issues that can impact your new business. Actually, Malaysia is one of the friendliest places to do business in, with a world ranking of number 18. What are the most common questions you have when it comes to forming a company in Malaysia? Where Do I Go to Register a Company? All companies operating in Malaysia are registered by the Companies Commission of Malaysia, also known as the Suruhanjaya Syarikat Malaysia (SSM). This is the agency responsible for overseeing corporate governance issues. What Kind of a Business Entity Can I Register? Foreign investors are only allowed to set up private limited companies, also called Sendirian Berhad (Sdn Bhd) companies. Only resident Malaysians are allowed to set up sole proprietor or public liability companies. However, a foreigner can register a 100% foreign owned business but this has to be approved by the Ministry for Trade Consumerism. 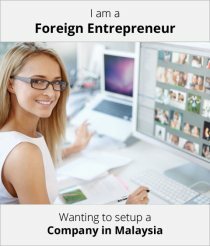 Do I Have To Be in Malaysia to Register a Company? While it is advisable that you become familiar with the business environment you will be operating in, it is not mandatory that you are physically in Malaysia to incorporate a company. You can use company incorporation services which will do the job for a fee. How Many People Will be Needed to Register a Company? The new Malaysia Companies Act 2016 allows sole individuals to register Sdn Bhd companies. This is because the Act allows for 1 shareholder at the minimum, who can also be listed as a director. What Are the Requirements for a Director? He/she should not be bankrupt and should not have been convicted of an offence in the last 5 years. Who Will Process My Incorporation Documents? You should appoint a company secretary to handle the legal paperwork. This is a lawyer appointed by a company to handle its legal affairs. Although appointing the company secretary is not a legal requirement at the point of incorporation, the appointment must be done within 30 days of the incorporation. How Quickly Can A Company Be Formed in Malaysia? The time from doing a name search to getting the certificate of incorporation is typically 14-21 days depending on how fast the directors and shareholders process the documents of incorporation and submit all the needed requirements. After the company is registered you will require injecting a minimum of RM1 per shareholder. This is the amount that will be in the bank so you can vary it depending on the special capital requirements you would need to meet for special licenses and permits. Authorized capital is the amount you state on paper which sets the limit for funding by shares. This amount will be revised from time to time to allow for injection of more paid up capital when needed. 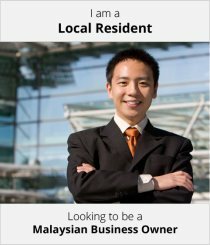 What Kind of Work Do I Need To Do in Malaysia? You will need to be a shareholder with at least 50% shareholding of the paid up capital of a company. This allows you to get an expatriate visa for you and your family. If you plan to have 100% shareholding of a foreign owned company, you must acquire a license from the Ministry of Trade Consumerism showing that your company is not operating a business that is among those prohibited for foreigners. This is called a WRT license. What Requirements Will I Need to Fulfill After Company Incorporation? You will to appoint auditors from a list of auditors approved by the SSM. You will need to supply the shareholders with the audited accounts before the Annual General Meeting. A private company is not required to present the audited accounts at an AGM but a public company is required to. Make annual report to the SSM. The new Companies Act 2016 requires that the annual returns are made within 30 days of the anniversary of incorporation. Every company operating in Malaysia must have a Goods and Services Tax (GST) number. To apply for this number, the company must have a bank account number. All goods imported into Malaysia unless they are zero-rated. The Inland Revenue Board of Malaysia (LHDN) issues the income tax and PAYE number. You can do self-registration on the online MyCoID portal number on LHDN portal e-daftar.hasil.gov.my or physically at their offices. You will require the Certificate of Incorporation and the Particulars of Shareholders, directors, manager and the company secretary. If your company is planning to employ, you must register with the EPF. The registration should be done within 7 days of hiring the first employee. Malaysian law requires that all employers register for social security which is done by Social Security Organization (SOCSO- Perkeso).